Join us for the Annual Church Family Christmas Party. KIDS! Join us for A Christmas Carol party. Bring a White Elephant gift under $20. Bring a snack to share! The fun begins at 2pm. Saturday December 16th. Call 505-865-7957 for more information! 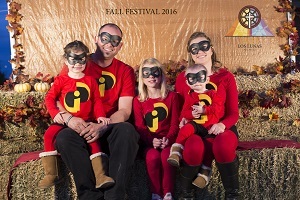 FALL FESTIVAL 2017 IS HERE! 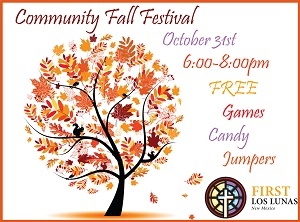 Join us for our annual Fall Festival with lots more FREE candy and games, face-painting, family photo booth, hot dogs, popcorn, bouncy houses and so much more! Easter Service, Cookout & Egg Hunt! Ready for some time off? How about December 2nd? 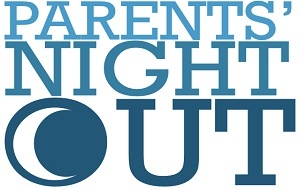 Once a month, our student ministry spends a Friday evening watching your precious children – so you don’t have to! Join us for this FREE community event! Enjoy toasted marshmallows, hot cocoa, popcorn, hot dogs and great music! For the adults, we offer great coffee, pastries and conversation. For the kids, we have jumpers, games, prizes, CANDY and more! Find us just south of Main Street on Los Lentes.